Dear Stockton  tell me your story. Ill be exploring and roaming from time to time. Find me and share your stories. Life is good in Stockton! I hear this from those born and raised and other newcomers. The stories from all walks of life share happy endings. Whats yours? I hope to find and tell many more tales in the months ahead. New Year! New Stockton Exploits! Mike Scott is multi-talented. A Stockton native – born and raised – he graduated from high school and went right into business for himself. He’s been self-employed his entire working life; and clearly still going strong. 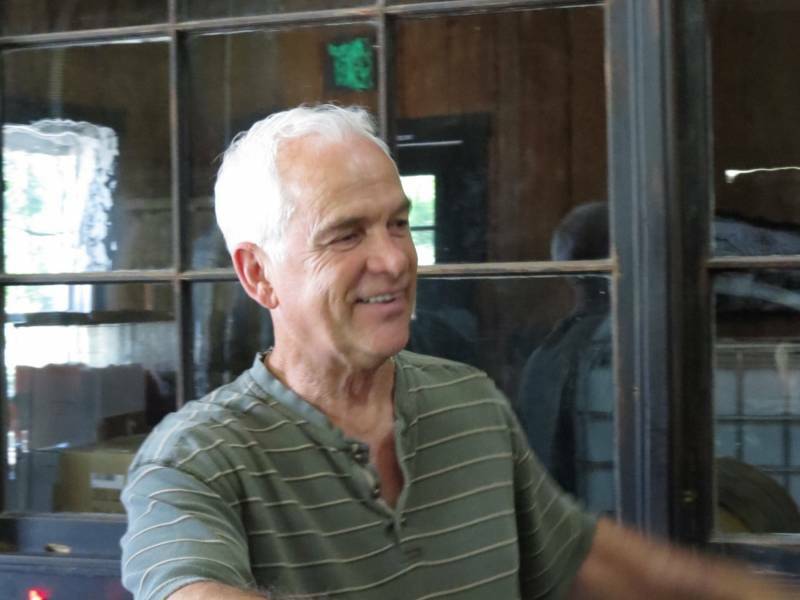 From an industrial supply business in downtown Stockton to farmer (growing grapes) and winemaker, Mike Scott is a true Renaissance man. I went into business right out of high school making industrial supplies – nuts and bolts…cutting tools. We helped build the wind turbines up on Altamont Pass. I built the parts and then they were assembled by another company. These days I’m growing grapes and making wine along – I needed a change of pace. I had no training – just dive in! We bought the property in 2007 and in August 2010 the tasting room opened. 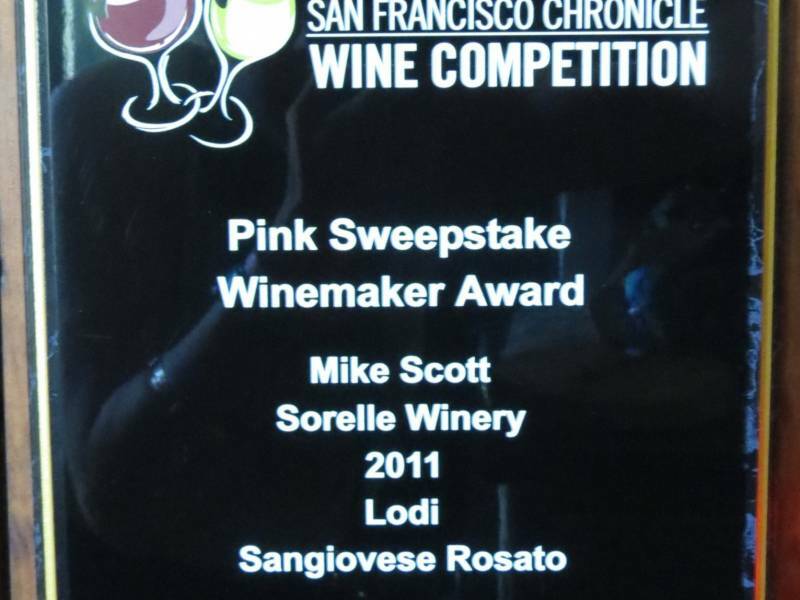 The 2013 San Francisco Chronicle Wine Competition awarded us – Sorelle Winery – the Pink Sweepstake Winemaker Award for our 2011 Lodi Sangiovese Rosato – every judge voted for it. High praise and we’ll take that! My parents moved here from the East during the great migration, so I’m second-generation Stockton. I have been to Mexico and a couple of trips to Texas. Other than that and going to Nevada – not too far and never too long. I have never lived anywhere else! There’s good and bad everywhere, but it’s really what you make it. Be sure to come back to our blog soon for Barbara's next blog about her adventures in Stockton! Check out Barbara L. Steinberg's "Are You that Woman?" Facebook page that chronicles all of her adventures and be sure to check out her website, CaliforniaTravelInsider.com, to explore undiscovered corners of California. All photos taken by Barbara L. Steinberg.